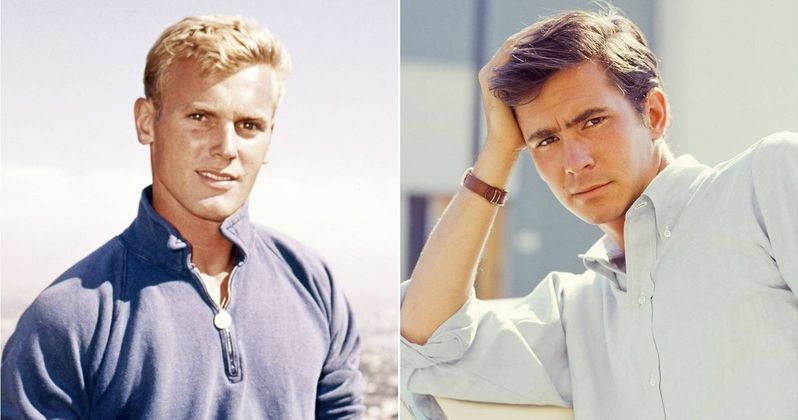 J.J. Abrams is teaming up with his Star Trek and Star Trek Into Darkness star Zachary Quinto to develop a new biopic entitled Tab & Tony, about the secret gay love affair between actors Anthony Perkins and Tab Hunter. The project has no director or actors attached at this time, with both Abrams and Quinto only currently attached as producers, with Abrams producing through his Bad Robot company along with Zachary Quinto, Neil Koeningsberg and Hunter's long-time partner Allan Glaser. Playwright Doug Wright, who won a Pulitzer for his play "I Am My Own Wife," has been hired to write the screenplay. The movie will be adapted from Hunter's own 2005 biography "Tab Hunter Confidential: The Making of a Movie Star," which chronicled his struggles as a gay actor in the 1950s, while detailing his rise to stardom where he was being marketed as a Hollywood heartthrob and the ideal leading man. While there had been rumors about his homosexuality throughout his career, Hunter came out by publishing his 2005 book, where he detailed his long-term romances with Anthony Perkins, figure skater Ronnie Robertson and others before he settled down with his long-term partner, film producer Allan Glaser, who he met in 1983. Hunter's book was turned into the 2015 documentary Tab Hunter Confidential, which was directed by Jeffrey Schwartz and produced by Glaser, Koeningsberg and Schwartz. Hunter had been "romantically linked" to high-profile female stars such as Natalie Wood and Debbie Reynolds, who were both close friends of Hunter, but they were purely fictional, developed by studio publicity departments to promote Hunter's films. Insiders even dubbed Wood and Hunter's "relationship" with the nickname "Natalie Wood and Tab Wouldn't." Tab Hunter made his film debut at just 19 years of age with 1950's The Lawless, and his two breakthrough roles came in 1955 with The Sea Chase, alongside John Wayne and Lana Turner and Battle Cry alongside Van Heflin and Aldo Ray. He went on to star in Damn Yankees, Lafayette Esadrille, Gunman's Walk, That Kind of Woman and They Came to Cordura. He managed to get out of his restrictive Warner Bros. contract and tried his hand at TV with The Tab Hunter Show in 1960, and while his career paid the price for leaving Warner Bros., he still did manage to work steadily throughout the 1960s, although he couldn't find much outside of TV guest-starring roles in the 1970s. His career was revived in the 1980s with roles in John Waters' Polyester and Grease 2. Anthony Perkins, who is best known for playing the iconic Norman Bates in the 1960 Hitchcock classic Psycho, passed away from AIDS-related causes in 1992 at the age of 60. Quinto will next be seen on the big screen in Hotel Artemis, which opens this weekend, and J.J. Abrams is getting ready to start production on Star Wars 9 this summer. There is no indication yet on when this project may be ready to go in front of cameras. Variety broke the news about this upcoming biopic.